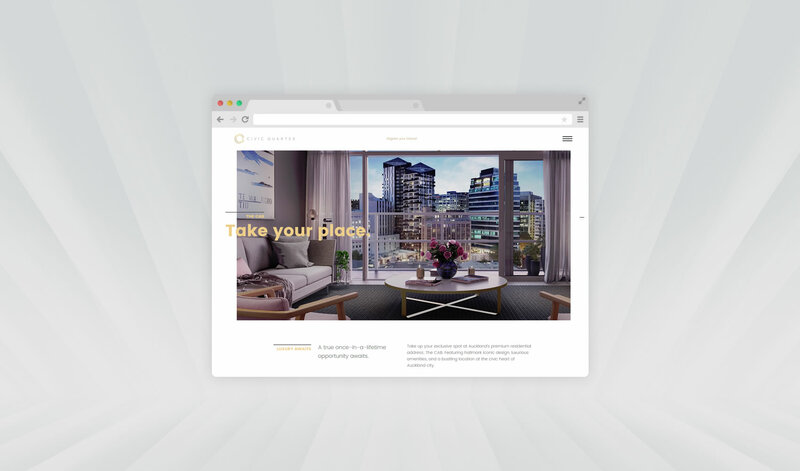 Connecting the essence of lifestyle and luxury at Auckland’s most prominent property development - Civic Quarter. 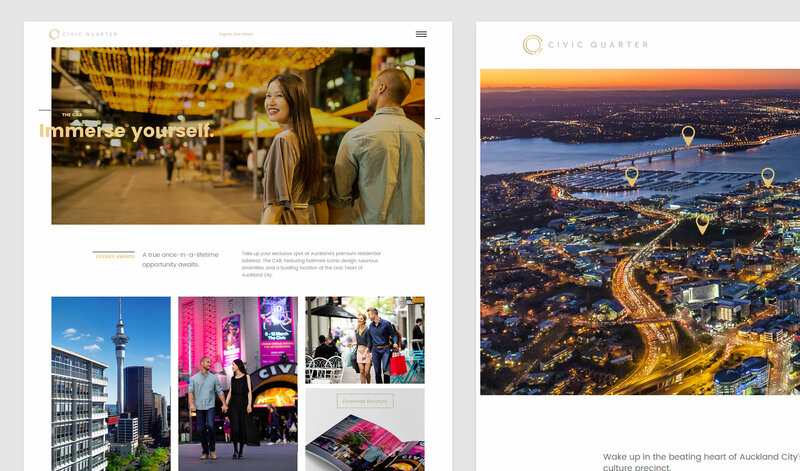 Civic Quarter; Auckland’s newest lifestyle complex, right in the heart of our arts and culture precinct. While working at Origami, I was asked to bring the brand crafted by Andy Haines and Mike Howard to life in a digital landscape, whilst maintaining its heritage grounding. The website allowed synergy of lifestyle and luxury, while the search engine optimisation strategy allowed the site to rocket in keyword rankings. -	More than 150 people expressed interest in the complex via. 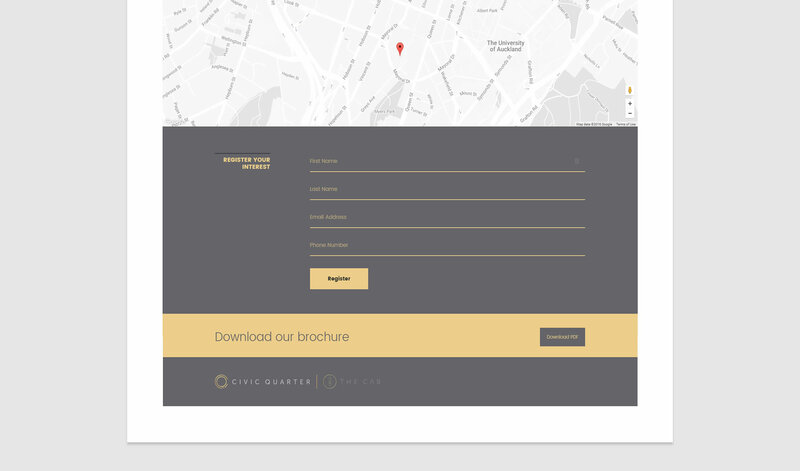 the website. -	An effective SEO strategy allowed the website to soar in its targeted keywords. -	Interest and traffic continue to grow month on month. 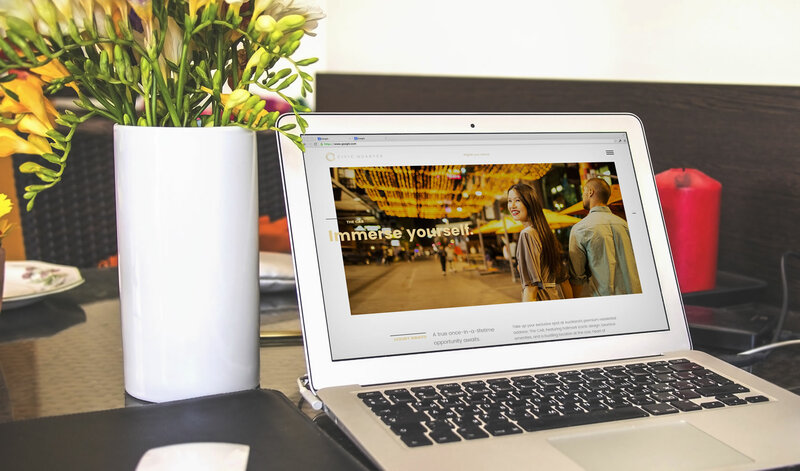 -	A responsive Wordpress website. - A website that would sell apartments.